Success! Abule from Ethiopia raised $961 to fund corrective surgery. Abule's treatment was fully funded on March 26, 2018. Abule’s surgery was a success. He’s now recovering well and in good health. Abule is a student from Ethiopia. He has two siblings. His father practices traditional farming methods, while his mother sells vegetables in their local market. Abule underwent a colostomy, in which the end of the colon is brought through an opening in the abdominal wall. This surgery is often performed to bypass bowel malformations, but colostomies are usually temporary and may call for closure. In Abule’s case, his colostomy requires closure in order to restore bowel function and prevent future complications. Our medical partner, African Mission Healthcare Foundation, is requesting $961 to cover the cost of a colostomy closure for Abule. The surgery is scheduled to take place on March 22 and, once completed, will hopefully allow him to live more comfortably and confidently. Abule's case was submitted by Joan Kadagaya at African Mission Healthcare Foundation in Ethiopia. Abule was submitted by Joan Kadagaya, Curative Medical Support Program-Partner Representative at African Mission Healthcare Foundation, our medical partner in Ethiopia. Abule's profile was published to start raising funds. Abule received treatment at BethanyKids Myungsung Christian Medical Centre (BKMCM). Medical partners often provide care to patients accepted by Watsi before those patients are fully funded, operating under the guarantee that the cost of care will be paid for by donors. 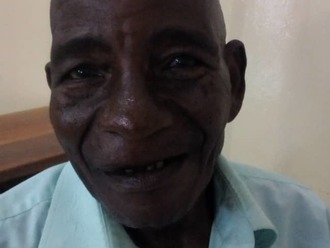 Abule's treatment was fully funded. Abule's treatment was successful. Read the update.